The Private $52,500 SalesCopyMaker Club Invite. Learn More Below! As a brand new SalesCopyMaker member, you already know the importance of having amazing sales copy. To Stop Your Viewers In Their Tracks & Almost Force Them To Take Action! How would you like to get a VIP access to both our private sales copy frameworks and templates library we actually paid $52,500 for them to 8-figure copywriter, as well as to frameworks and templates done from sales scripts and sales letters of our best selling products? Those are the actual templates we used to make video sales scripts and sales letters that already produced millions of dollars in sales for our businesses. Those are the very templates we come back to over and over again to create new video scripts and sales letters for our new products. 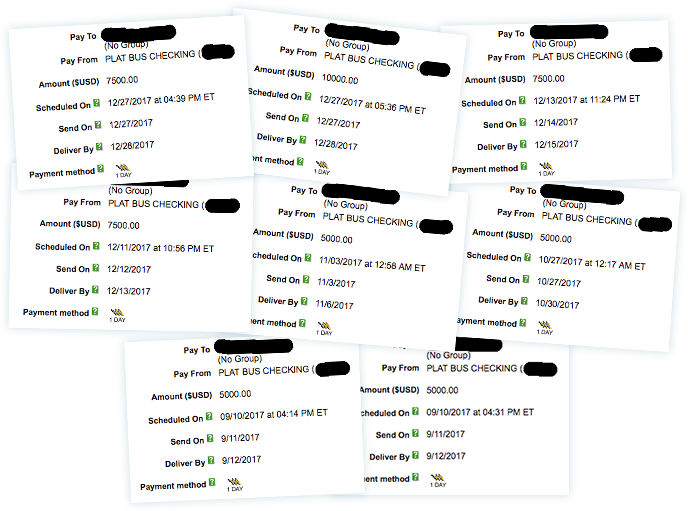 We actually sent $52,500 in cash to 8-figure copywriter bank account to write exclusively for our businesses. It means that if you ordered the same work you would have to pay that sum of money to get the same templates content you can get access to on this page. 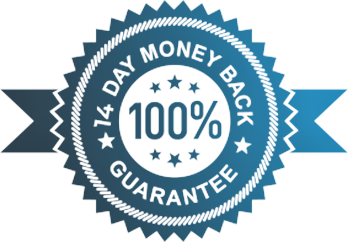 And you will get the very templates for video sales scripts and sales letters which produced millions of dollars of sales already. This Is Our Most Private Collection Library & None Of These Have Ever Been Shared To The General Public Until Now. 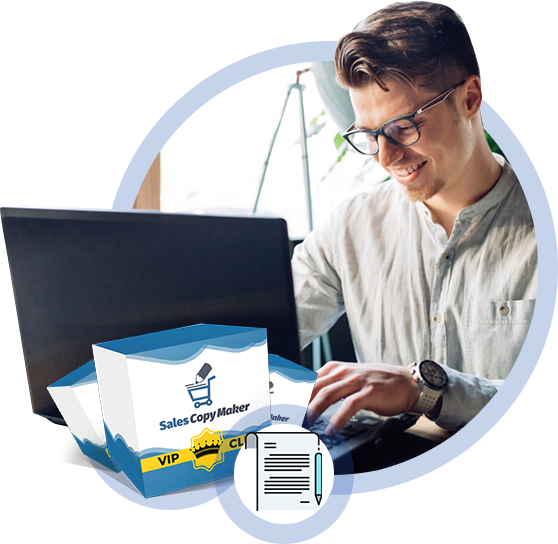 Right now, with SalesCopyMaker, you got the ability to generate high impact sales copies based on proven copywriting formulas inspired by the greatest known copywriters. And I want to give you access to our private collection. That means taking you from sales copies based on general best copywriting practices to sales copies that are actually proven on the market by generating million of dollars in actual sales for our businesses. From general best practices sales copies to sales copies blockbusters proven to make millions of dollars. 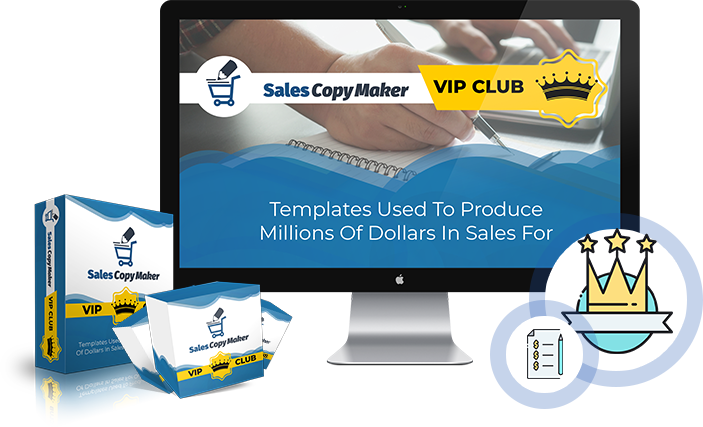 VIP library frameworks and templates were designed to work perfectly with SalesCopyMaker and include everything you need to make your sales videos and sales letter produce sales. 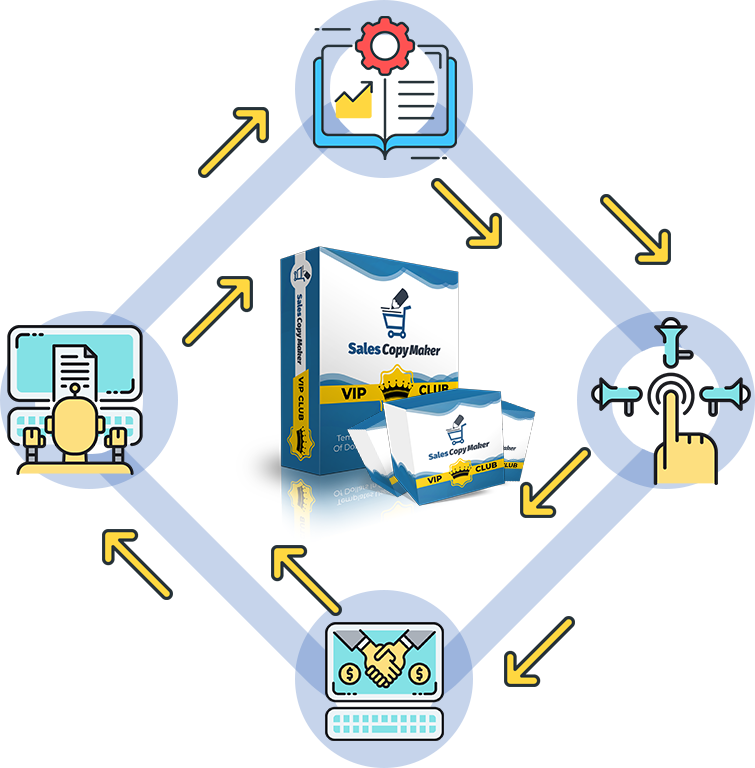 And these sales script and sales letter frameworks and templates can be customized to sell anything regardless of your market niche. Instant Access To Our Entire Private Collection Of Frameworks & Templates. 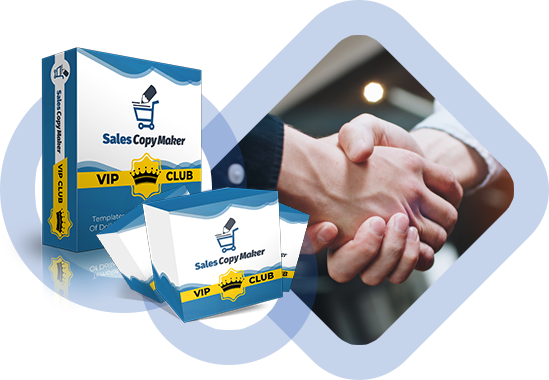 hat’s why today, I’m excited to invite you to get a VIP access to the SalesCopyMaker Club. 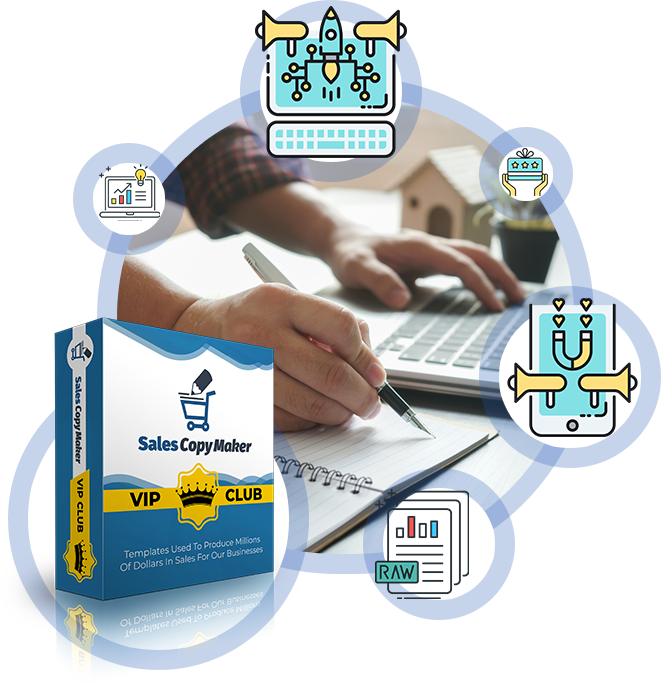 What was once part of our private and personal collection, representing over 4 years of custom copywriting and $52,500 in investment is now available to a limited number of SalesCopyMaker members. 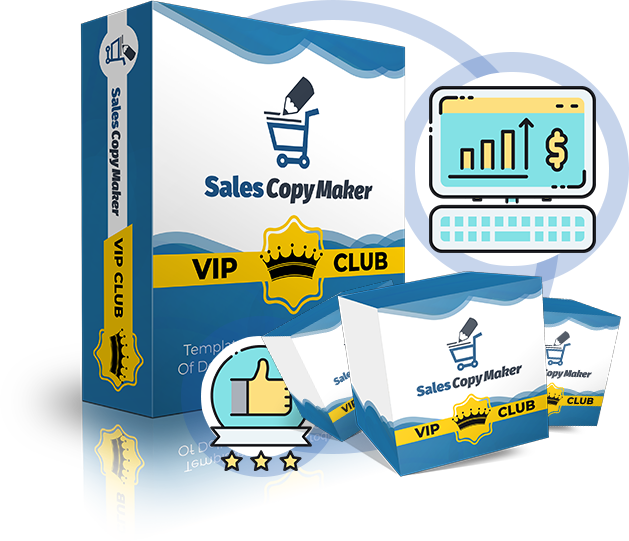 SalesCopyMaker Club will give you instant access to our entire private collection of frameworks and templates. And they are ready to use with the SalesCopyMaker. $52,500 in real world value and 4 years of our private collection, for just a small tiny investment. Plus it includes a license for you to use each and every framework template for your marketing needs. Total Real World Value: $52,500! The library that we use to create tens of sales scripts and sales letters. The library that we use for our 7 figure internet marketing and digital marketing business. Special pricing available only to new, invited SalesCopyMaker members only. Just $19 today, then you will be charged $19 each month to continue with your VIP All Access Pass. Cancel Anytime! Over 99% Off Real World Value! Paid Annually.  Just $133 today, then you will be charged $133 each year to continue with your VIP All Access Pass. Cancel Anytime! Annual access gives you 5 MonthsFREE vs Monthly Option. No Thank You, I understand the value of the $52,500 and 4 years worth of frameworks and templates, all for just $19 is amazing, but at this time, I don't need to skyrocket sales conversion for my products, I understand that the price may increase and this is a special invite only offer. Please take me to the next page!